Image: Slaven Vlasic/Getty Images Entertainment/Getty Images. 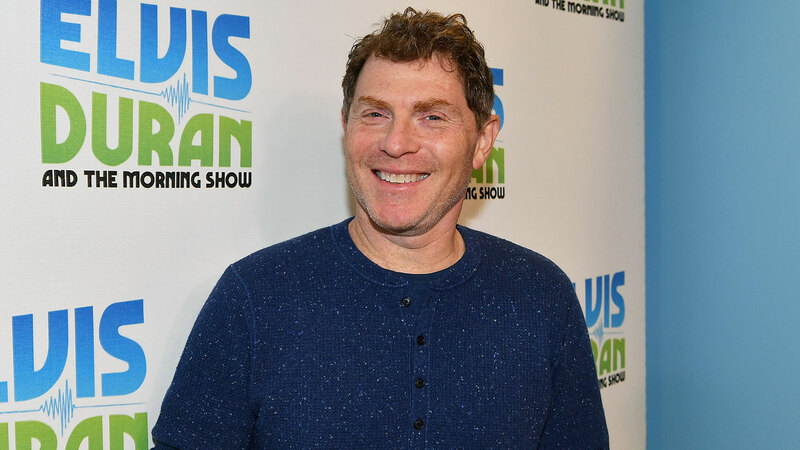 If you’ve been following Bobby Flay’s Instagram, you might already know the Iron Chef has kept himself plenty busy with Beat Bobby Flay, traveling (with recent visits to Rome and Kentucky) and spending seemingly all of his downtime with his cat, Nacho. But what you don’t see is that the chef extraordinaire is also currently hard at work opening up his first new restaurant in five years, Shark. Dubbed a “meateasy” by Best of Las Vegas, Shark is a fish restaurant with extensive sushi and raw bar offerings — all with a Latin flair. It’ll be located in the Palms Casino Resort in Las Vegas. Slated to open in March 2019, Flay’s Shark menu will offer everything from sushi and sashimi to ceviches and tartares. “With … bold preparations of fish and seafood, the menu is heavily influenced by ingredients from South America, Mexico and the Mediterranean,” Palms’ website states. Flay is no stranger to Vegas. His Southwestern restaurant, Mesa Grill, is located at Caesars Palace and has been a staple at the casino resort since 2004. Flay also has an upscale burger joint (it’s his favorite food, after all), Bobby’s Burger Palace, which opened in 2014 at The Shops at Crystals on the Strip. Bobby’s Burger Palace was a hit, and since has been so successful, it now has 17 locations throughout the U.S., including Washington, D.C. Just recently, in fact, he opened a new Bobby’s Burger Palace location inside Hartsfield-Jackson Atlanta International Airport. It’s his first airport restaurant ever. According to Eater Las Vegas, the addition of Shark at the Palms is part of the resort’s $620 million renovation. It joins two other new restaurant additions, including Italian restaurant Vetri Cucina and Mabel’s BBQ, spearheaded by Cleveland chef Michael Symon. Limited details are available about Shark, but what we do know is that the interior is downright gorgeous. There's no doubt you'll find us in Vegas in March 2019.